As the times change, the security community needs to adapt. We live in an imperfect world, as Alex Stamos, Chief Information Security Officer of Facebook pointed out in his recent BlackHat 2017 keynote address. Instead of trying to punish each other, hackers and innovators need to work closely to ensure a higher order. Other security thought leaders have echoed similar sentiments. Refreshingly, security thought leaders are driving cultural change from the top. Besides technological innovation, we are beginning to see changes in sales, diversity and culture. We are growing up, albeit slowly. Ping Li, Partner at Accel Ventures reminded me that we are still in early innings of a long game. “The security sector is evolving rapidly and we are still developing a common nomenclature, a lingua franca for our business. Visibility into systems, managing patches, vulnerabilities and security workflows are still being accomplished with rudimentary tools,” Lu said. Newcomers like Corelight (backed by Accel), Awake Networks (backed by Greylock Ventures) and EastWind Networks (backed by Signal Peak Ventures) are innovating on visibility of traffic and threats. In data security, ThinAir and Onapsis (securing ERP systems) have carved out an interesting niche in the market while Pwnie Express is positioning itself to win the IoT / ICS security market. Empow Networks, a Gartner Cool Vendor of 2017 wants to create a novel abstraction layer to manage all security tools effectively and Demisto (in which I am an investor) is bringing much needed automation to incident response. Nyotron just raised $21 million to redefine endpoint security. 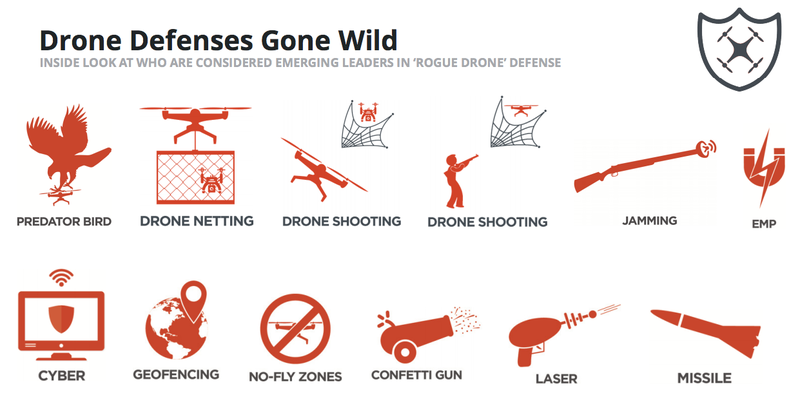 As drones grow from a mild nuisance to a significant headache, several security startups like Airspace and Dedrone have jumped in to protect the “three dimensional” perimeter. Calling BS on the marketing hype, several presenters at BlackHat offer an unvarnished view of the state of technology. In her talk, “Garbage in Garbage out” Hillary Sanders, a data scientist with Sophos pointed out that if ML models use sub-optimal training data, the reliability of the models will be questionable, possibly leading to catastrophic failures. She trained models based on three separate data sources and found that if a model is tested on a different data set, the outcomes varied significantly (See 3 X 3 matrix). Put it differently, if I was trained to recognize a cat in one school, and if I moved to a different school, my ability to identify a cat will drop dramatically. Caveat Emptor: Do not believe the ML hype unless you have seen the results on your own data sets. Each vendor will train their models on different data sets, which may not be relevant to your environment. And then as new malware data is discovered, stuff gets stale. Chances are that the model may need to be trained or else could start to behave erratically. We live in an imperfect word indeed. In another presentation aptly titled, “Lies and Damn Lies” Lidia Guiliano and Mike Spaulding presented an analysis of various endpoint marketing claims and debunked these systematically. They spent five months digging into various endpoint offerings and concluded that threat intelligence simply does not work. While endpoint solutions are better than signature based detection, they are no silver bullets. When it came to drone security, Bishop Fox, a security consulting firm took a Mythbusters approach to research 86 drone security products. Francis Brown, partner at Bishop Fox presented “Game of Drones” in which he concluded that the solutions are rife with marketing, but most of them are not yet available. The study concluded that while the 1st generation drone defense solutions/products are being deployed, there are no ‘best practices’. Everything from drone netting, shooting, confetti cannons, lasers and jammers was being used (including falcons). The vendors have gone wild indeed. If lasers, missiles and falcons are being deployed, what’s next? BlackHat + DefCon may be the only conference in the world where the forces of creation and destruction operate at the same venue. The builders (Suits) show off their wares at “briefings” and the hackers (T-shirts) show off their “arsenal” of how they break stuff – both mingle freely, challenge each other and do a thumbs-down / eyeroll at the other side. It’s like a weird semi-drunk tribal war dance. And unless the elders of the tribe, like Stamos and Yoran, do not call BS on this childish behavior, we will never grow up. Ben Johnson, CTO of Obsidian Security recently raised $9.5 million from Greylock (and since the announcement, has been inundated with “Series B” interest). “In security, all revenues go to hire even more salespeople” he says. Is that a healthy practice? As co-founder of Carbon Black, Ben called upon over 600 enterprise customers and in his current role, is actively exploring more innovative ways to get the product out. Indeed, when fear drives sales, innovation is harder. As an industry, we need to look at a better way of selling security products. However there is dearth of intelligent tactics. Partnerships with System Integrators (SIs), Channel Partners, Value added Resellers (VARs) and Managed Security Service Providers (MSSPs) are variants to the theme. Margins and accountability get slimmed down as the number of partners grows. Virgil Security a data security company (for which I am an advisor) has built a “developer-first” platform offering tools to build encryption seamlessly. Virgil offers its security platform as a service and the GTM approach can become highly efficient in such scenarios. In his BlackHat keynote, Alex Stamos touched upon the importance of diversity of thought, gender and culture. His call to action included behaving responsibly (and not childishly) within a societal framework. A large number of people in emerging markets will be using $50 phone, not $800 iPhones – how do we protect this new wave of digital citizens? What is the role of a security professional in the context of law enforcement? Can we learn to empathize with the product builders, the users, the government? To the security nihilists, Stamos reminded them that “not everyone is out to get you”. At a more fundamental level, Caroline Wong, VP of Security Strategy at Cobalt presented the security professional’s guide to hacking office politics. “Security teams need to know more about the business challenges, not just technology. We should be able to understand the flow of money, not just data” she pointed out. The debates have just started in an open honest fashion and IMHO, culture changes slowly. For now, we have added a new color – there were Red Teams and Blue Teams. The offense and the defense. Like two sides of security at a perpetual war. At BlackHat 2017, the concept of Purple Teams was introduced by April Wright, who hopes the two warring factions should cooperate and work well together. And yes – she also suggested that “security should never be an afterthought” – to which we all say Amen!